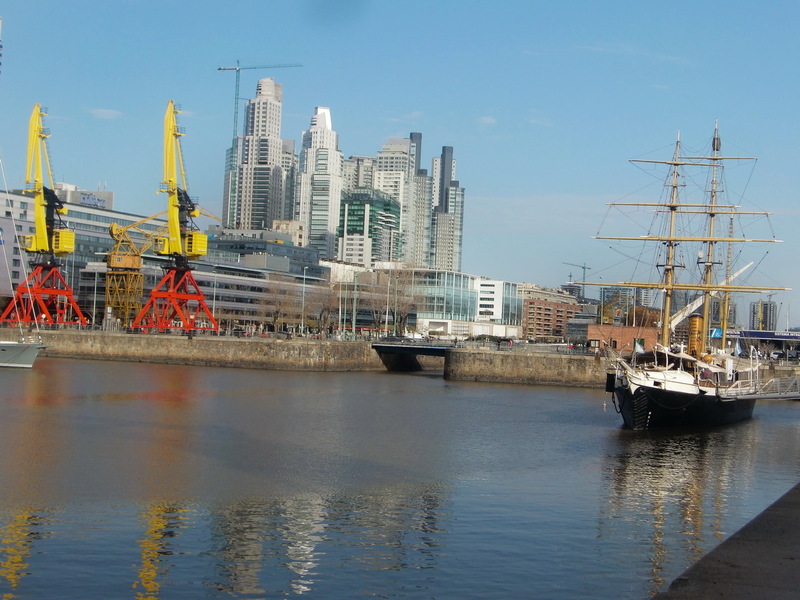 Our first walk was to Puerto Madero, an exquisite, elegant and expensive quarter on the waterfront to the Rio de la Plata. Luckily it was Saturday and lots of people were strolling with us under a blue sky in the sun. It was smelling deliciously because many Parilla booths offered a lot of barbeque, both meat and sausages. 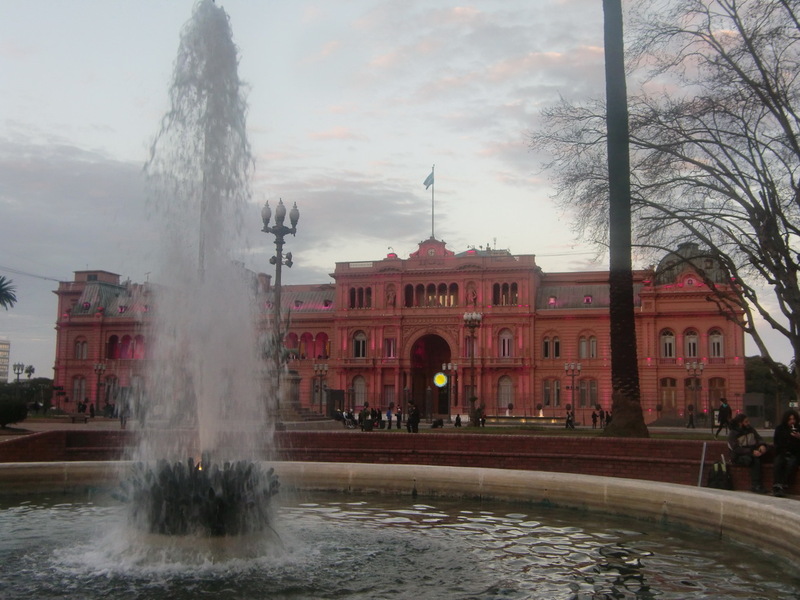 Next we came to the Casa Rosada, the office of the president of Argentina. Ar this time the woman Christina Kirchner ruled the country. "La Presindenta" Christina is quite popular: She won the August 2011 primary by more the 50%. 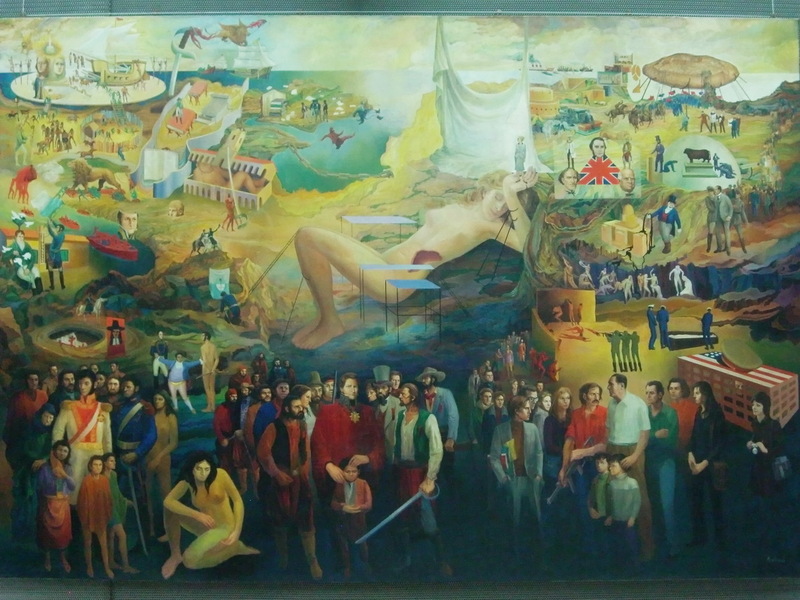 There is an impressive museum in the catacombs, free of charge, which shows some paintings and the history of Argentina supported with multimedia equipment. 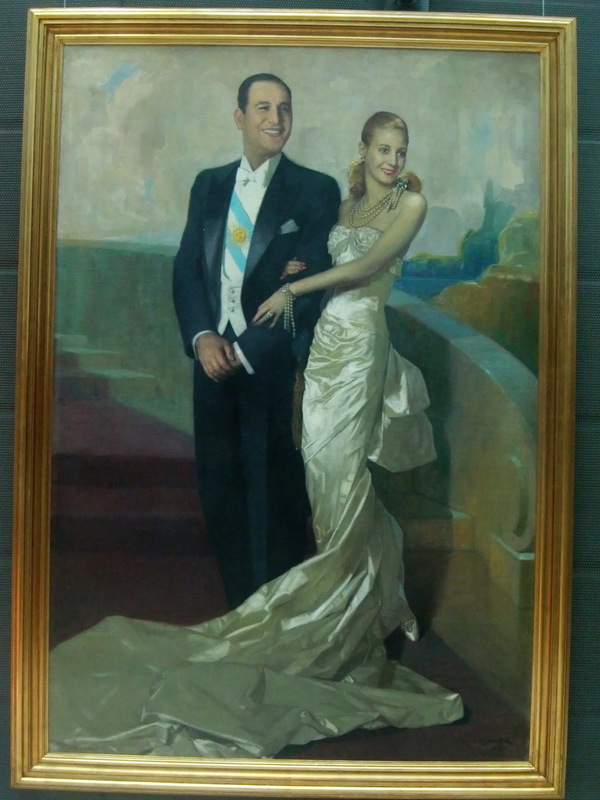 This is the City of Evita (Eva Peron); you fell it on many places. 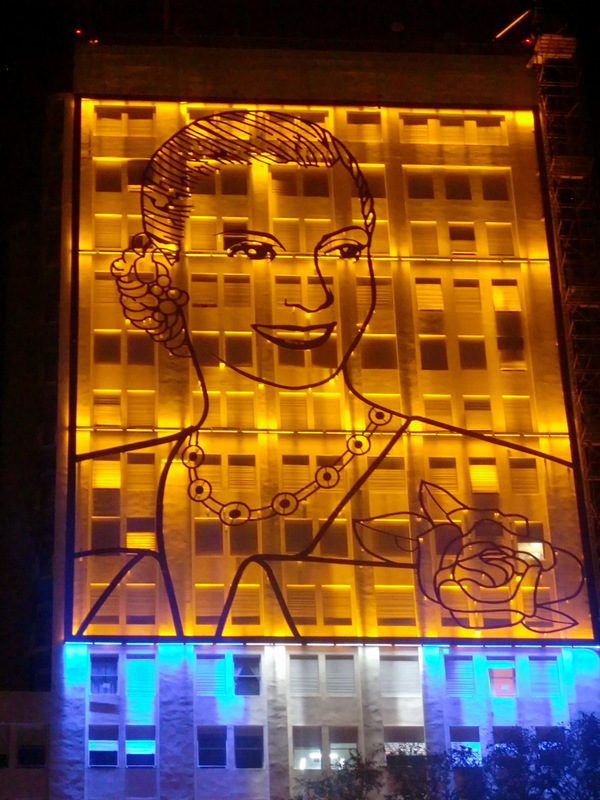 Her popularity is still unbroken after 59 years; she died 1952 in the young age of 33 years. Of course we visited her grave in the cemetery of Recoleta, which is relatively modest. Next day was Sunday - Tango day. You can spend hell of money to watch a commercial show, or you can go on Sunday to Boca or San Telmo to see Tango free of charge. 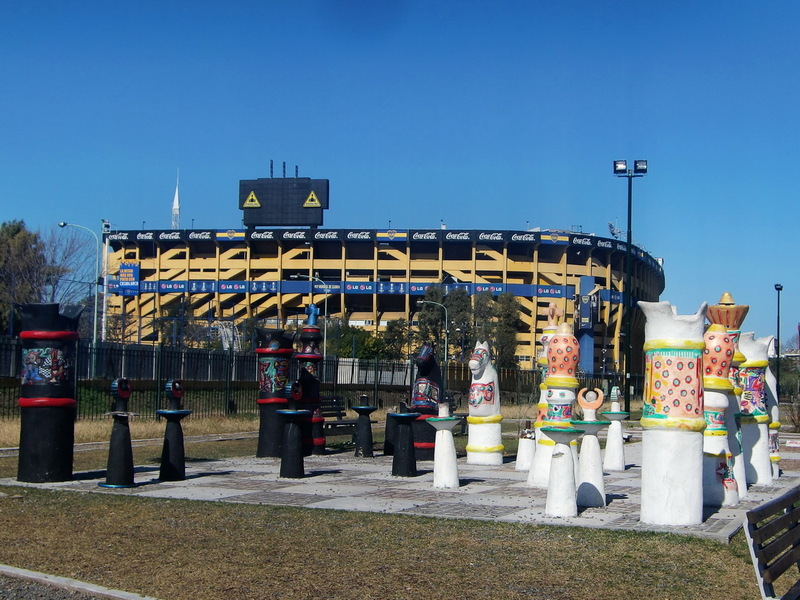 The quarter La Boca is famous for its football club Boca Juniors and its colored building made with steel sheets of former ships. Football superstar Diego Maradonna started his career with the Boca Juniors. In the quarter Ricoleta is the big iron flower Floralis Generis, which follows the sun and closes at night - if all the gears are working. When we came back to Buenos Aires beginning of October 2011, we visited the zoo and the Japanese garden. The zoo is in an marvelous environment with old classical buildings for the animals. The garden shows Japanese life and culture in Argentina. It is supposed to be the biggest one outside of Japan. Few kilometers northwest of Buenos Aires are the two pretty towns San Antonio de Areco and Lujan. Both have nice beaches on their rivers, which are very crowded in the summer season. The first one is famous for its traditional Gaucho culture flavored with a peaceful atmosphere and ancient picturesque buildings. The latter one is a pilgrims' destination with a huge cathedral and the most important shrine of Argentina. 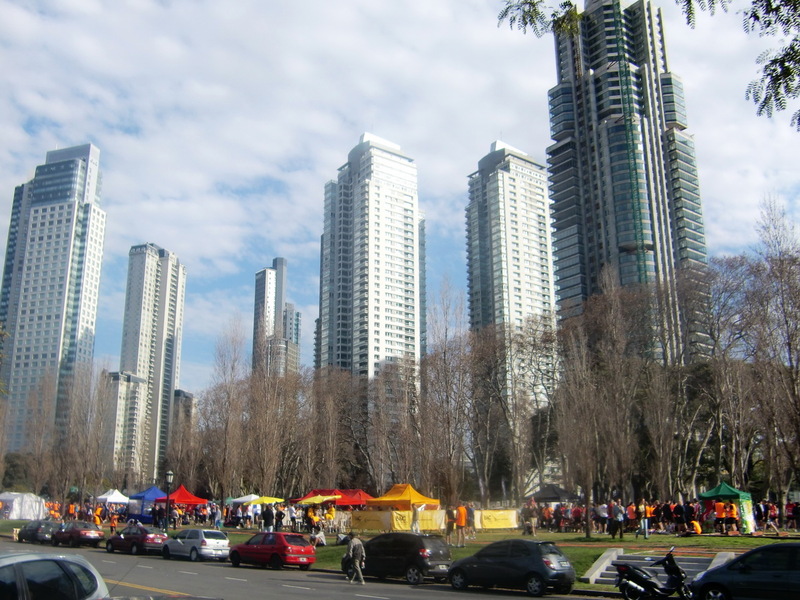 There is a lot of entertainment for the refugees of Buenos Aires behind the cathedral: Very handy - religion and pleasure are close. 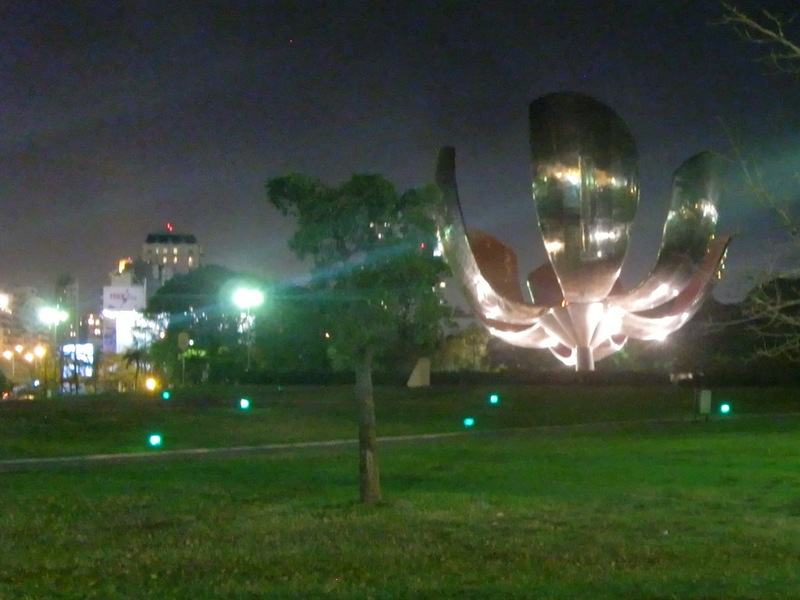 We came back to Buenos Aires in February and May 2013. At this time we met very nice people in Tigre, which have also areasonable campsite close to Buenos Aires, see article Cafayate and the Yungas of Argentina. Buenos Aires kann man nicht oft genug besuchen, es gibt sooo viel zu entdecken.